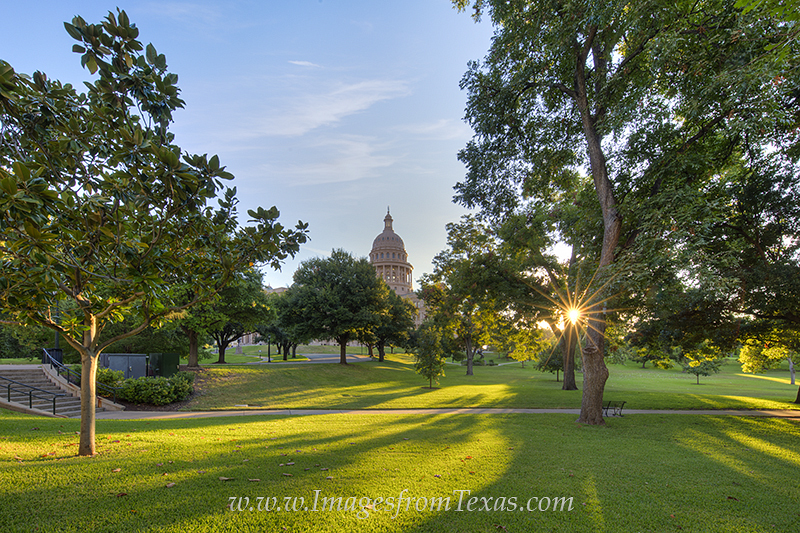 The sun peeks through the beautiful trees at the Texas State Capitol near downtown Austin. The 22 acres of the Capitol lawn is beautiful and worhty of an early morning stroll, especially when the weather is perfect as it was this morning. Photo © copyright by Rob Greebon.